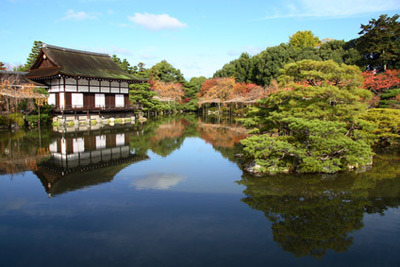 Heian-jingū is a three-fourth scale reconstitution of the Heian-period Imperial Palace. 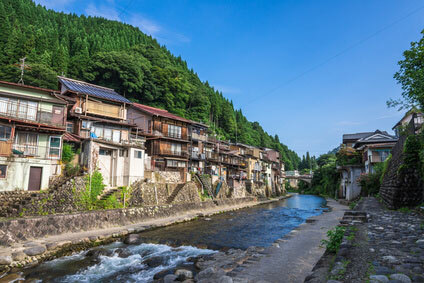 It was built in 1895 to commemorate the 1,100th anniversary of the founding of Kyōto. 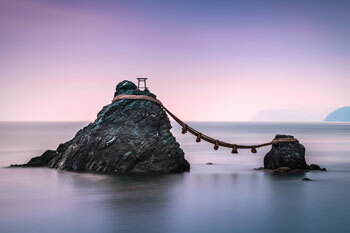 It is dedicated to Emperor Kammu (737-806), the first emperor ruling from Kyōto, and Emperor Kōmei (1831-1867), the last emperor based in Kyōto before the capital moved to Tōkyō. The whole structure was reconstructed in 1979. 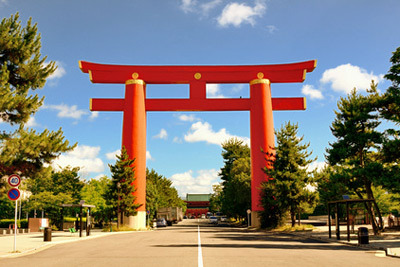 Visitors are greeted by an enormous, bright vermilion torii gate, the second largest torii in Japan (24.2 meters high) after the one at Kumano Hongū Taisha. 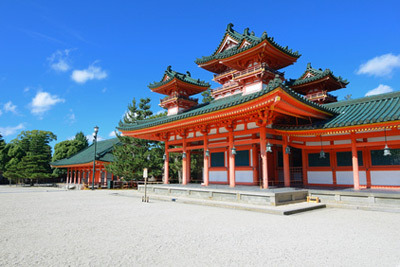 The Ōtemon, another impressive gate building, leads to the model palace-shrine itself. 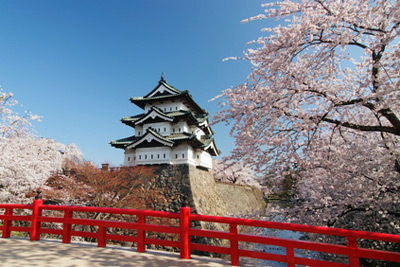 At each extremity of the Daikokuden (Great Hall of State) is a two-storey pavilion tower: the Byakkō-rō (White Tiger) and the Sōryū-rō (Blue Dragon). 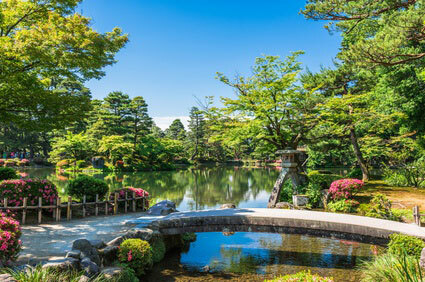 The garden behind the shrine was also designed in Heian-era style. 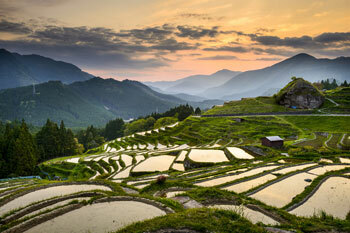 Its main feature are the round stepping stones across the pond. 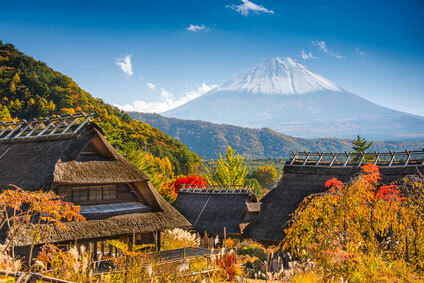 One of Kyōto's three great festivals, the Jidai Matsuri ("Festival of the Ages") is held on 22 October each year. 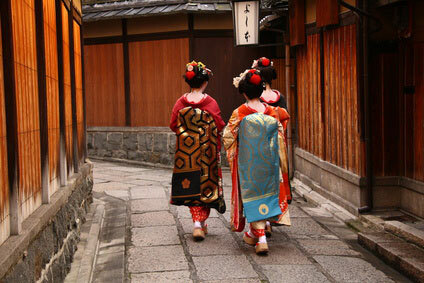 Participants wear historical costumes of all the major periods of Japanese history. 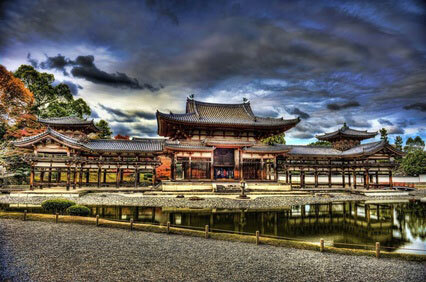 The procession leaves Kyōto's Imperial Palace at noon and reaches the Heian Shrine around 2:30pm. The other main event taking place here is the Takigi Noh dances, on the evening of 1 and 2 June. This form of Noh theatre is performed by fire light. The spectacle start at 4:30pm and ends around 9:00pm. Tickets cost ￥2,500 by advance purchase or ￥3,300 at the gate. Admission to the shrine is free, although entry to the gardens is ￥600 (open 8:30am-5:30pm from 15 Mar to 31 Aug; until 4:30pm from 1 Nov to end of Feb; until 5:00pm the rest of the year). Bus No 5 from Kyōto or Sanjō station stop at Jingū-michi, near the entrance to the shrine. 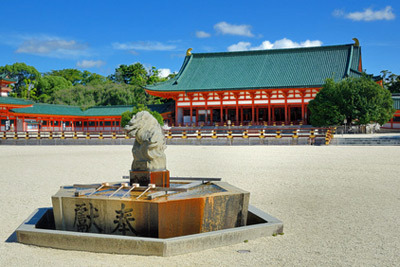 The Heian Shrine is 10 minutes walk from Higashi-yama station (Tōzai Subway line) or 15 minutes walk from Sanjō station.